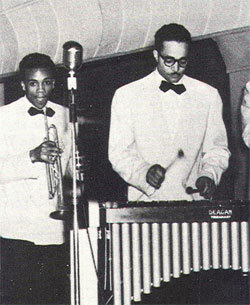 Robert “Bumps” Blackwell was a musician, producer, and composer who worked with the top names in early jazz and rock and roll. Blackwell was born in Seattle, Washington on May 23, 1918. By the late 1940s his Seattle-based “Bumps Blackwell Junior Band” featured Ray Charles and Quincy Jones, and played with artists like Billie Holiday, Cab Calloway, and Billy Eckstine. He moved to Los Angeles, California in the early 1950s and hired on with Art Rupe’s Specialty Records. Blackwell produced the hit “You Send Me” against Rupe’s wishes. Rupe feared Sam Cooke‘s crossover from gospel to pop would hurt the sales of his gospel records. Rupe fired Bumps who then took Cooke and his recording cross town to Keen Records where it became the first #1 hit by a solo black artist. He went on to garner 17 Gold Records while producing a variety of artists including Sly Stone, Lou Rawls, the Fifth Dimension, the Chambers Brothers, the Five Blind Boys of Alabama, the Coasters, Ike and Tina Turner and Bob Dylan. Blackwell taught his artists the business side of music, “because I don’t want my pupils to be unprepared like I was, like [Little] Richard was, like we all were.” The Blackwell International Academy of the Performing Arts was opened after his death in 1985.